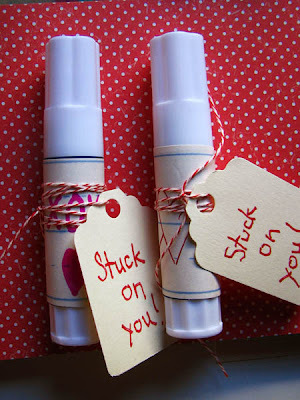 With Valentine's Day fast approaching, why not have your kidlets make a valentine that is quirky, fun AND useful? 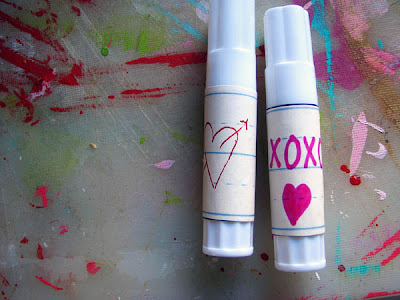 Simply "repackage" your everyday gluestick with a bit of happy colorful paper. What a great idea! I'll have to remember that for next year. Super cute! And I loved your hearts jar from Craftzine! how's about a warm cuppa sweetness?